To live in another country, you can either embrace it or regret it. It’s been almost 2 weeks and I must say I’m so grateful with the old and new friends I’m meeting. 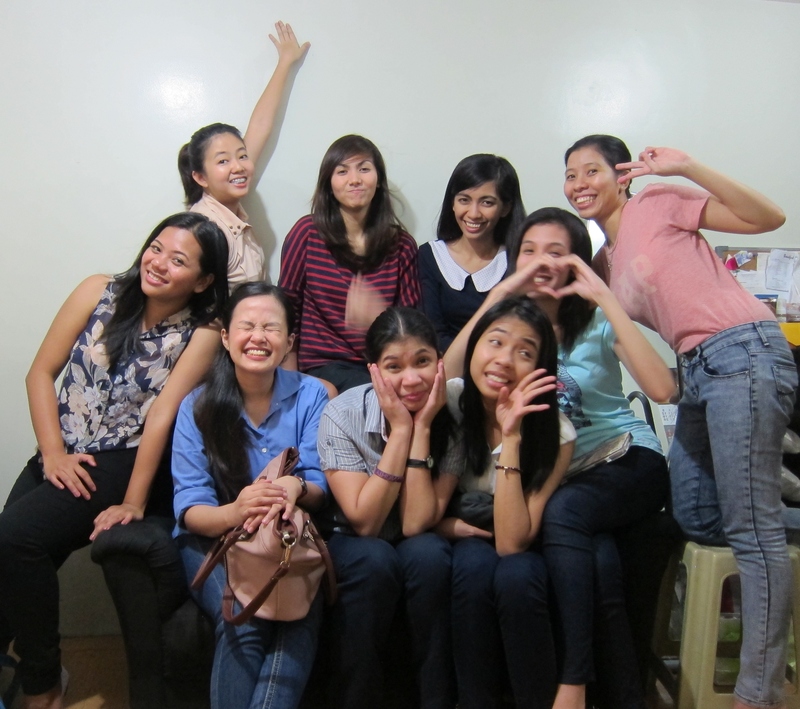 This weekend has been a blast – people, food, laughter. It’s a time to take my mind off from my job hunting thoughts. 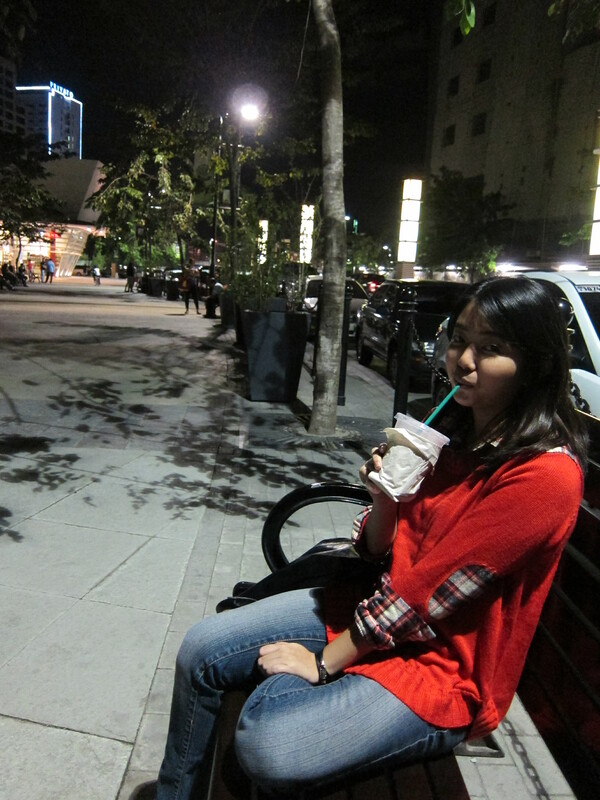 Last Friday, I jogged with friends at Central Park just here in Burnaby. 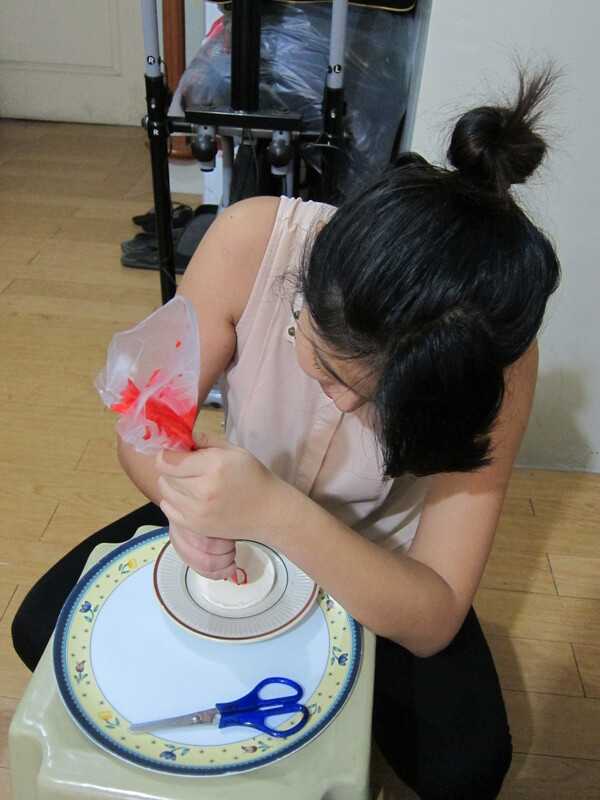 Finally, we were able to do it after postponing it for many times. Well of course, after we jogged, we ate. Haha! Saturday was fun day and fooood day! Hehe… My former colleague here in Accenture who has been my coach and mentor at work treat me for a fully loaded lunch in a Chinese restaurant. The food was really great. Too bad I wasn’t able to take pictures. But, really good lunch! 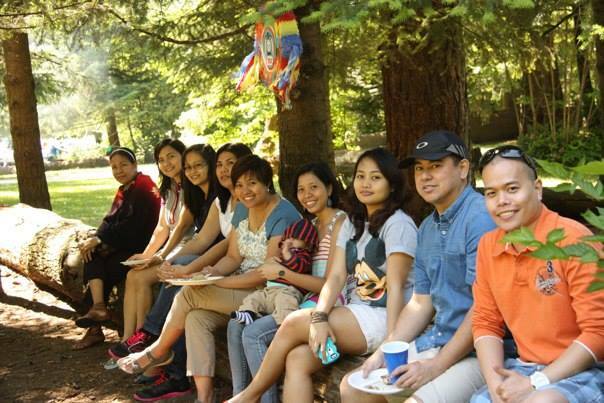 After that, I attended a birthday picnic party still at Central Park. Best part of the day. So many kids! It was a full weekend. Though I had to hit the gym when I got home yesterday. I had to burn calories. Haha! I’m really an extrovert. I get so energized with people around. Hehe! 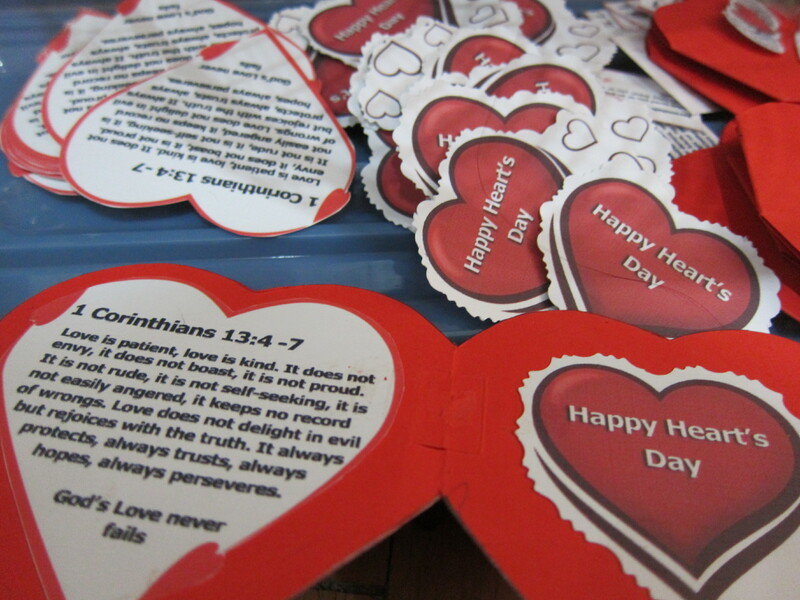 My discipleship group ladies suggested to make chocolates with messages to give away to our colleagues on Valentine’s Day. Just like any special day, these are times that we can share the love of God to others. 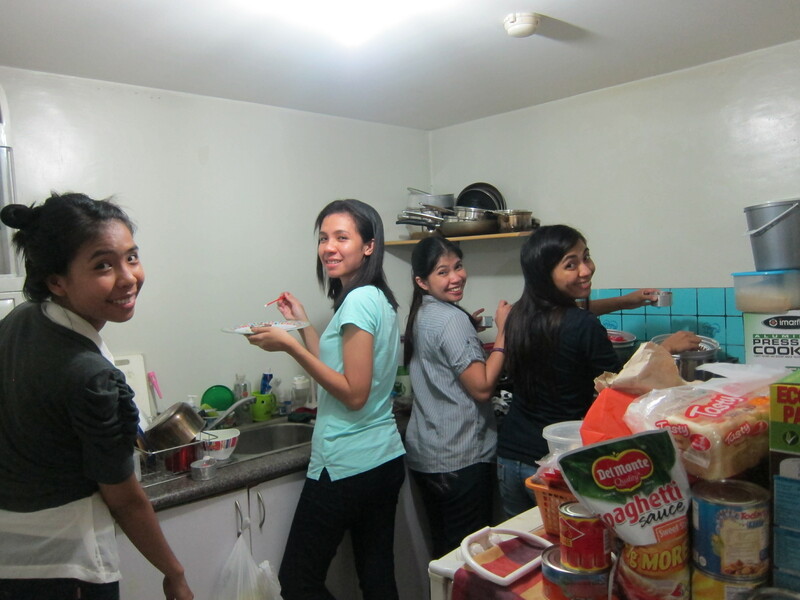 So we grabbed this opportunity to spread out God’s love through our time and effort in making goodies. It was a long week of chocolate making and baking. We started on the Sunday before Feb. 14. 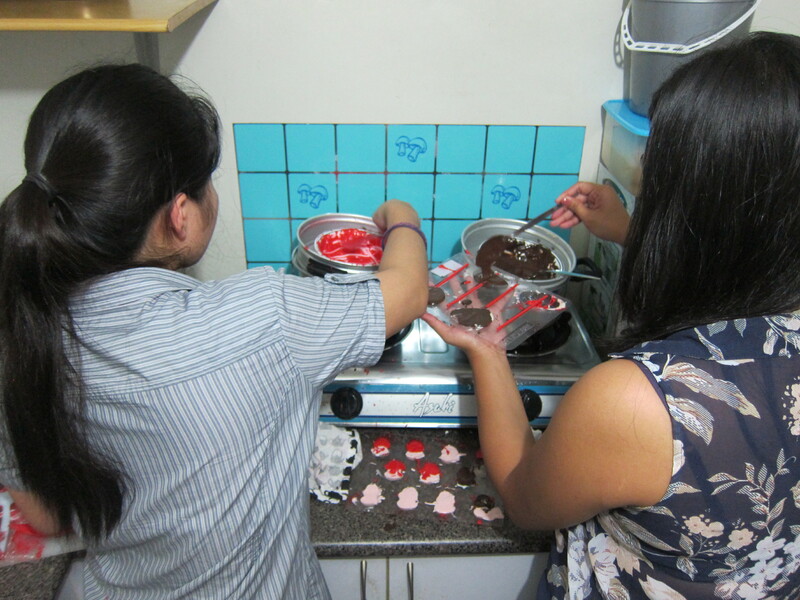 The girls had so much fun as their creativity were challenged especially in designing some of the round chocolates. 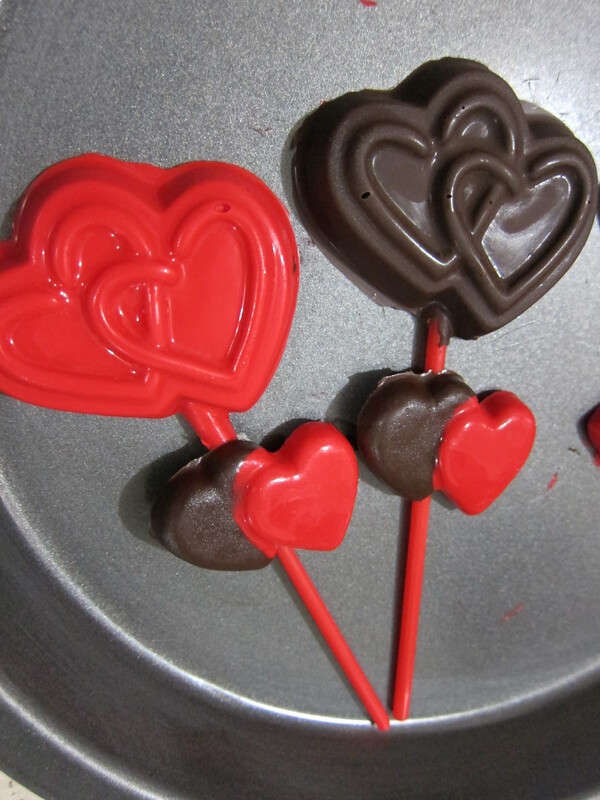 We made chocolate hearts in lollipop sticks and smaller chocolate hearts. 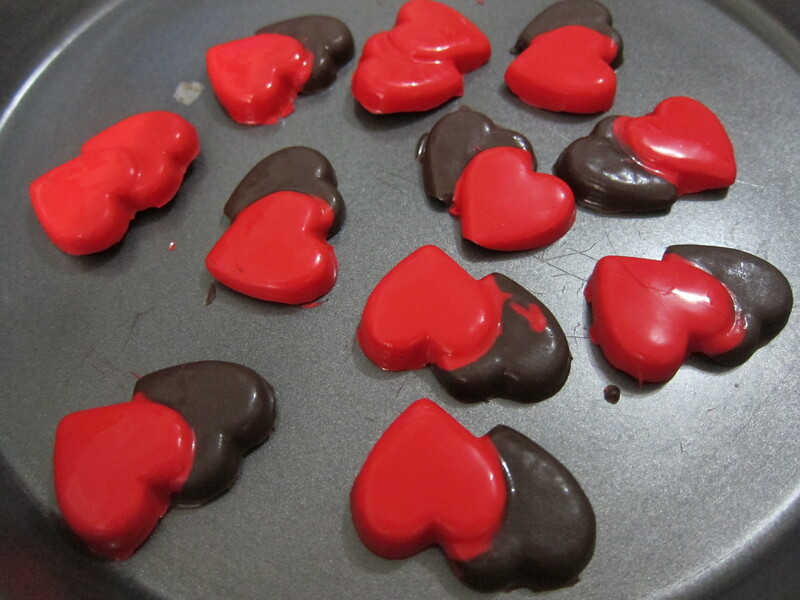 We used three colors – white, red and dark chocolate for variety. 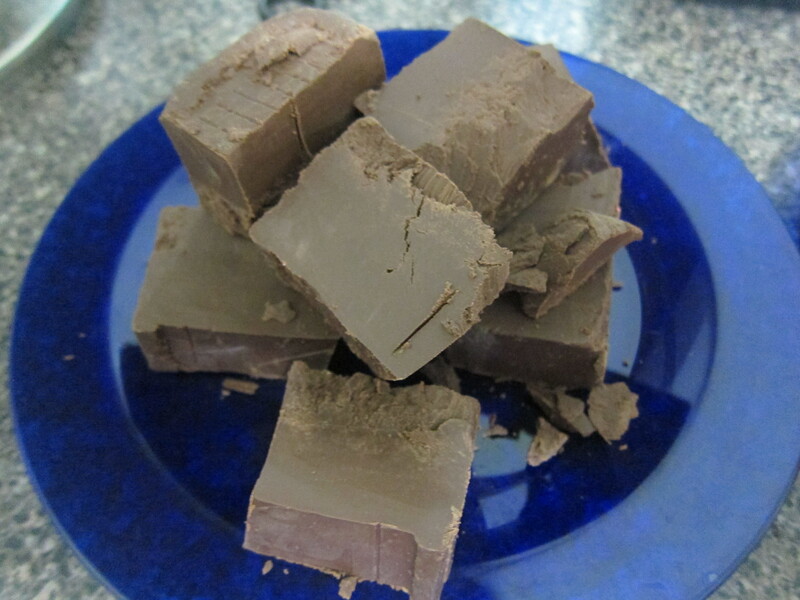 It was very easy to make as we just had to melt the bars and then put them into molders and let it hardened inside the refrigerator. 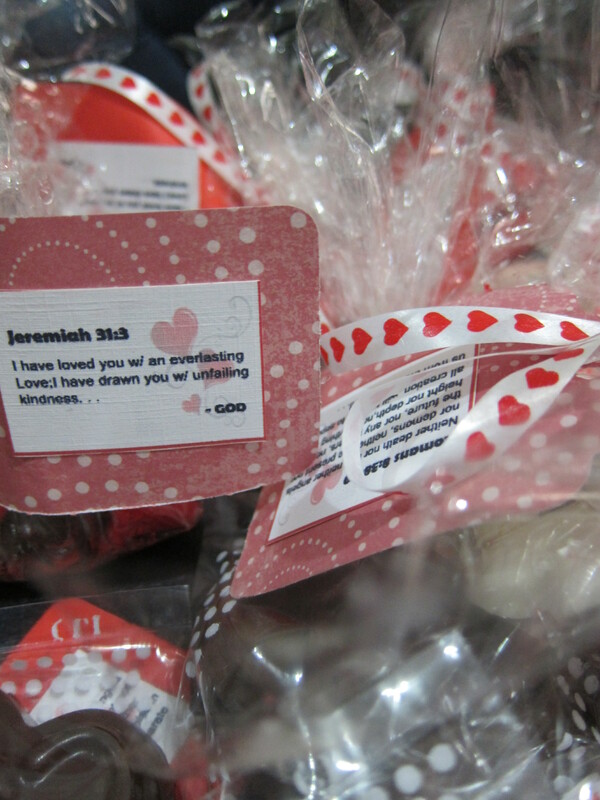 We printed out Bible verses to be attached to the chocolates after they were packed. These are the final products of our project. We didn’t finish everything in one day and so I had to continue making more for the rest of the week. 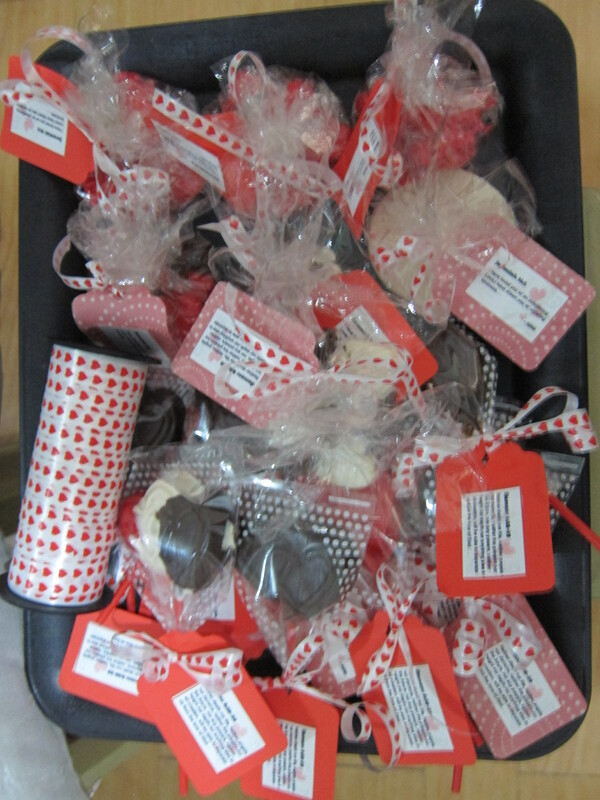 It was a very fun experience and we really hoped that the people who received those goodies felt they were much loved by us and by God. 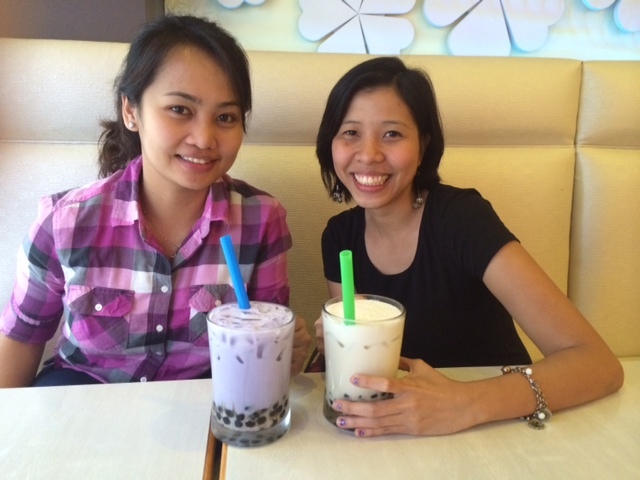 My roommie, Kim and I decided to spend a Friday night at Kapitoloyo in Pasig City to have a relaxing dinner and just to unwind. Kapitolyo is famous for a lot of good restaurants in different cuisines – not just the food but also the ambiance of the places. We walked down East Kapitolyo Drive, looking for the Seoul Sisters place famous for their very delicious dukbokki. Sadly, we could not find the place. Not sure if we were on the right street or it’s not there anymore. 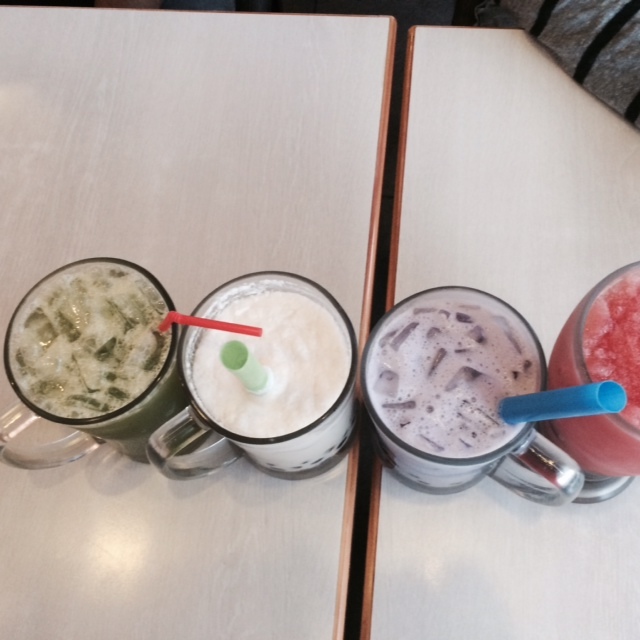 But anyway, we found some other good options until we decided to go for Thai. 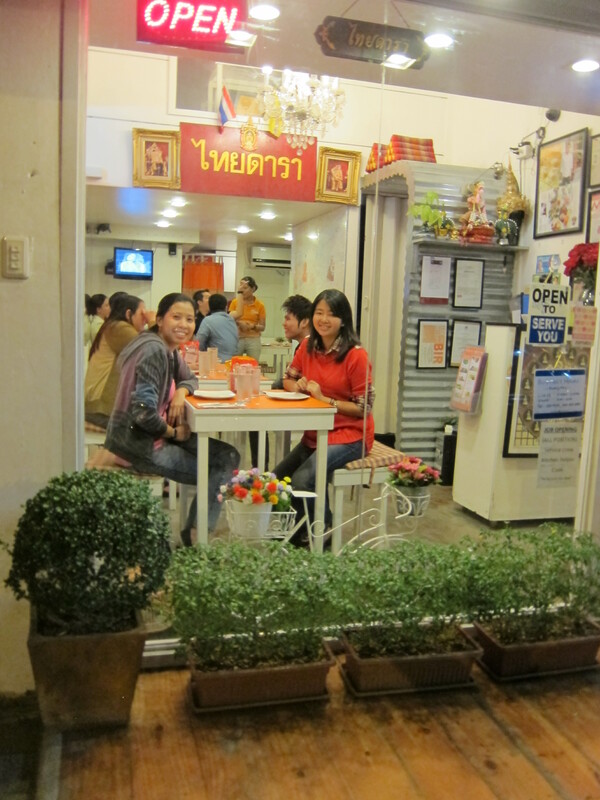 We got attracted with the little, cute restaurant. We ordered Tom Yum Soup with chicken, Pad Thai and a set of spring rolls. We enjoyed the Tom Yum the most which we requested to be mild spicy only. The Pad Thai was also good and the spring rolls serving was a lot. It was a satisfying Thai meal with some left over for to go. After dinner, we wanted to try Epic Coffee Roastery. The place was very relaxing and creative. We checked the place but then couldn’t find anything to order from their menu so we decided to just go to Starbucks nearby as Kim was craving for some Raspberry Blackcurrant. We went to Capitol Commons where there are new restaurants, mostly fine dining opened. 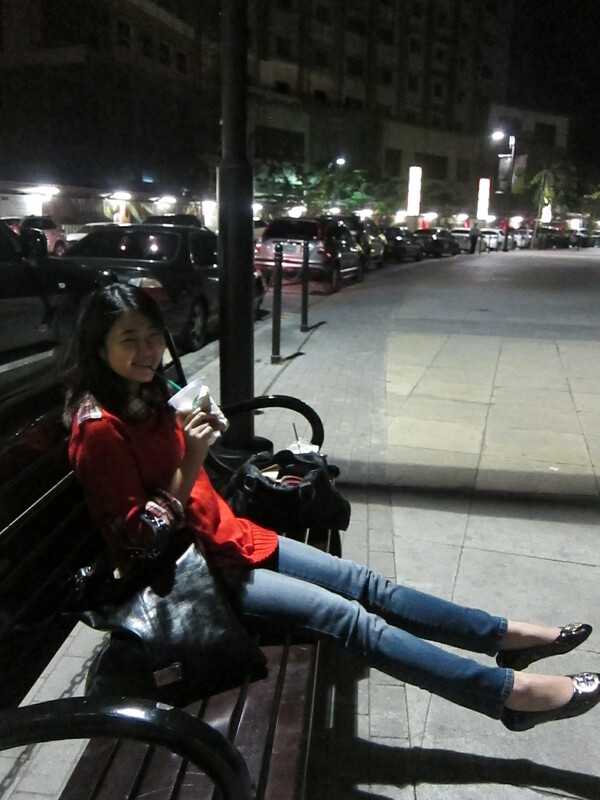 Starbucks was full and so we just decided to stroll around with our drinks. And to our surprise, there is a path walk with bench seats at the sides where you can hang out and relax. Better than inside Starbucks! 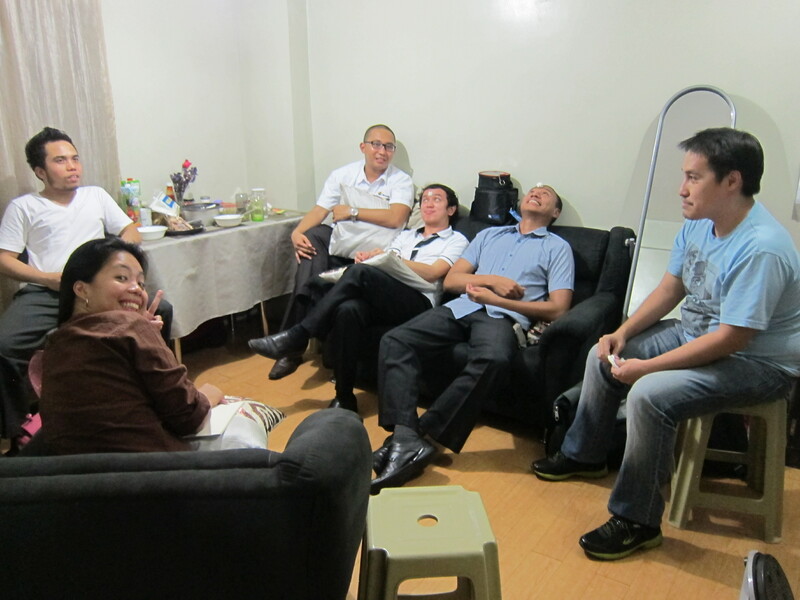 I invited everyone in the core group of the ministry I am part of – Singles@Work to have the continuation of our planning and meeting at my place over dinner. 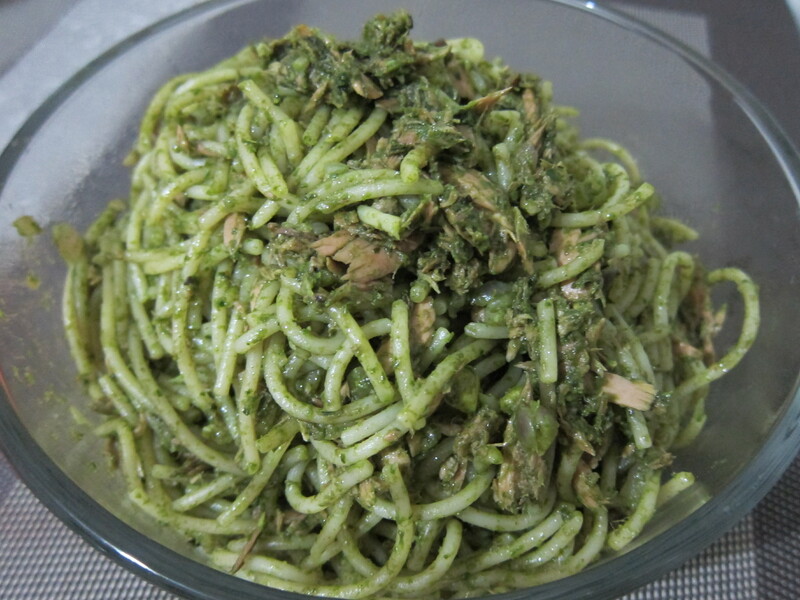 I also prepared my specialty – spicy tuna pesto pasta. 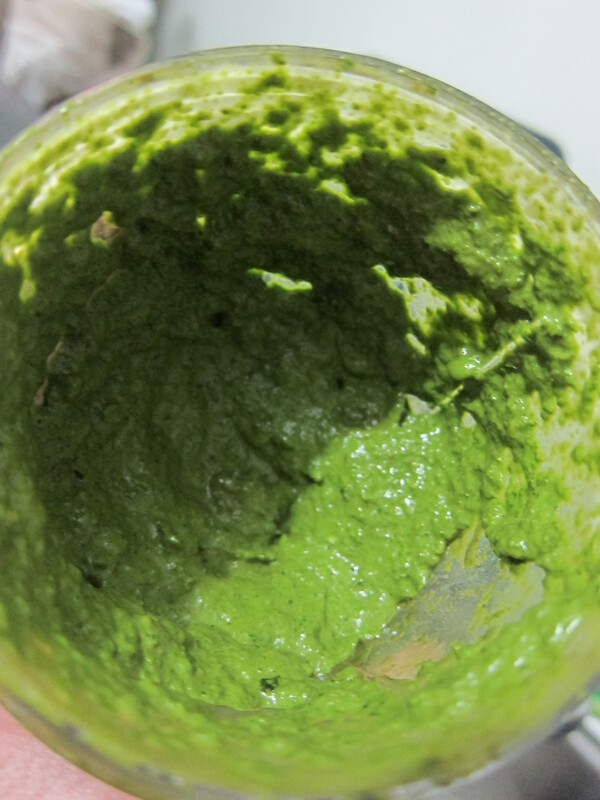 I usually buy a ready to mix pesto sauce but unfortunately the supermarket near my place ran out of it so I have to do the sauce from scratch, for the first time. I used my Magic Bullet blender to make the sauce. 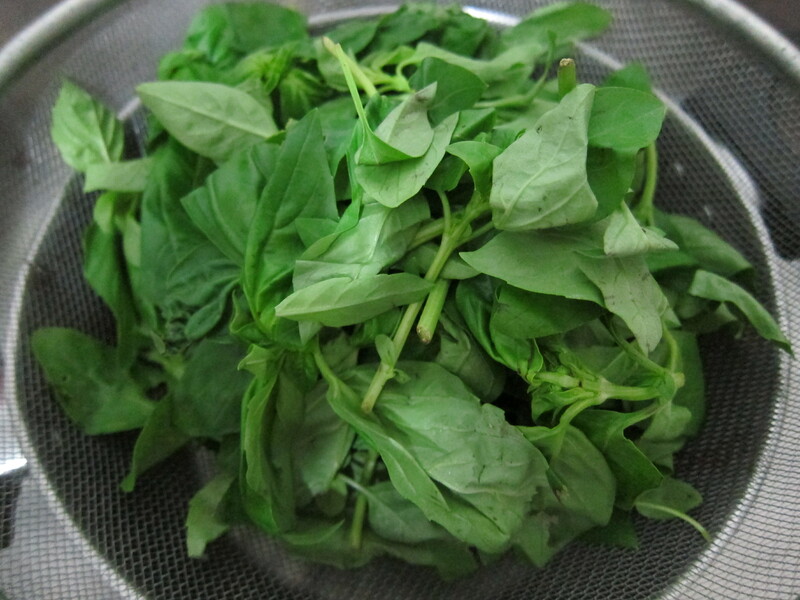 I mixed the fresh basil leaves (which I sooo love the smell!) with olive oil first, then, added chopped garlic and little bit of salt and pepper. Then, I sauteed the tuna with onions. I mix Century Tuna Spicy and the one in Vegetable oil. After which, I added the pesto sauce I have made. I put in the pasta then added the nuts as last. I don’t like mixing the nuts when I do the sauce. 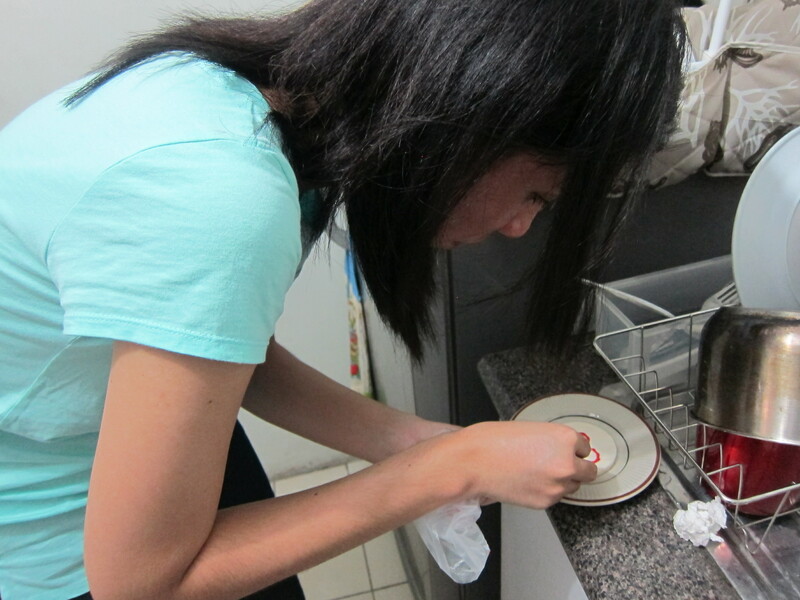 Since I resigned from work, I had more time preparing meals especially breakfast! One breakfast, I cooked for me and my roomie some buttered carrots, omelette and our favorite chorizo made in Cebu. It’s just nice to have normal meals on weekdays. 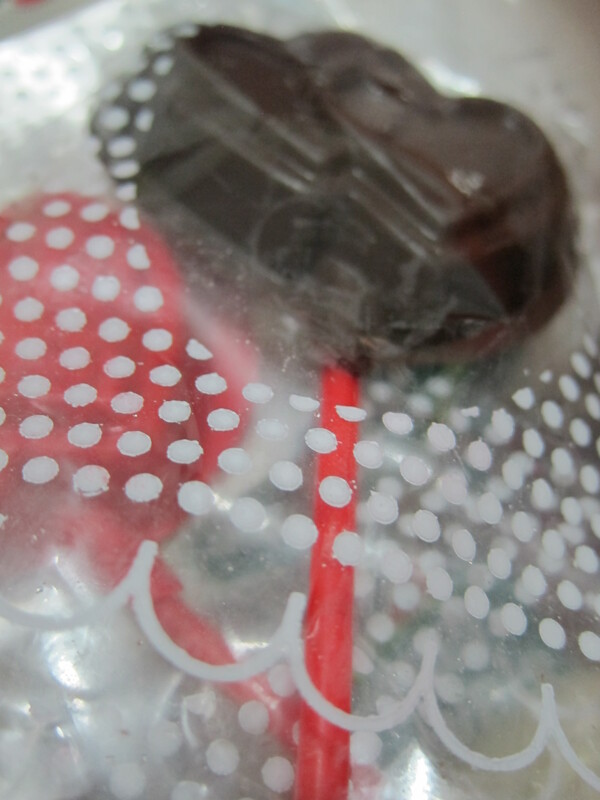 I craved also for some sweets this week that I bought donuts and a box of chocolate-filled pretzel sticks. I realized how dependent we are with food that sometimes we feel like we are about to die if we can’t eat a proper meal on time. If you haven’t tried prayer and fasting, I really recommend you give it a try. 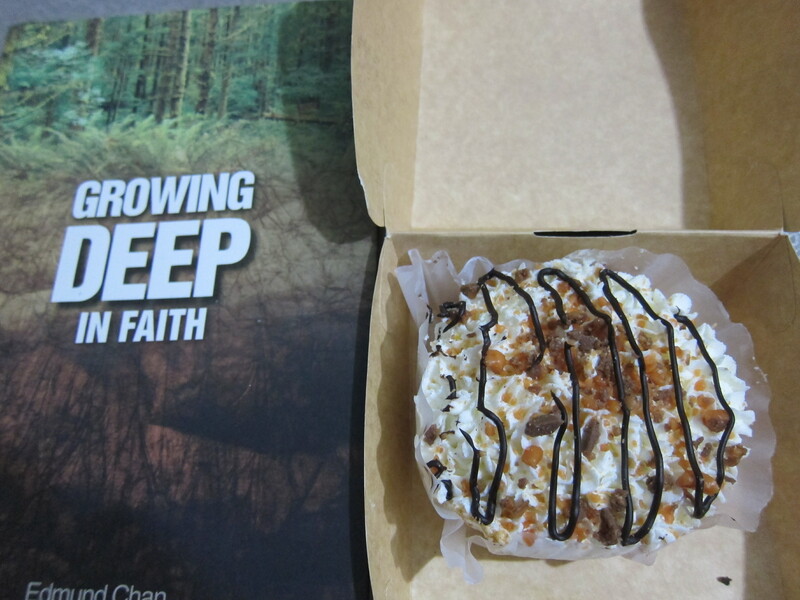 You will experience God much deeper.